Some dates—such as the birth of founder Thomas Jefferson and the fire that gutted the Rotunda—are part of legend and lore at UVA Others, though, are less known yet paint a more colorful picture of the University’s history. Here are 14 such dates—some curious, some notable—from the annals of UVA, its students and others in the University community. Feb. 14, 1826. 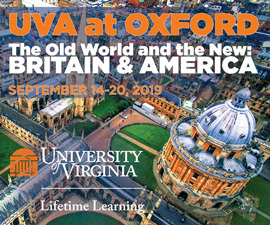 Edgar Allan Poe enters UVA and chooses, as his course of study, the Schools of Ancient and Modern Languages. 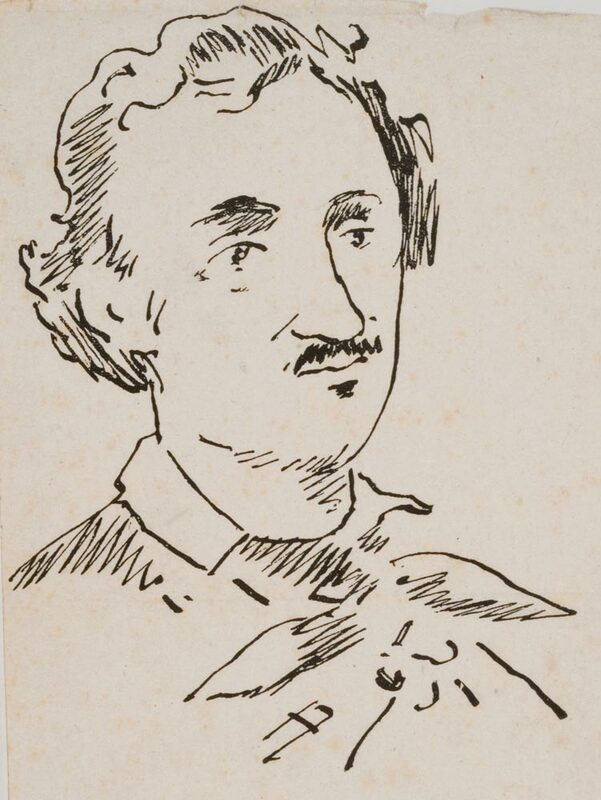 Poe lives in No. 13 West Range during his brief time at the University. Detractors claim Poe led a wild student life that resulted in his dismissal, but that is not the case. He left UVA in December 1826 because his foster father wouldn’t provide necessary funds for him to continue attending. April 18, 1831. The Chameleon becomes the first student newspaper at the University of Virginia. Neither the Board of Visitors nor faculty members were wild about having a student-run newspaper, fearing that it would “impede the performance of duty and the purposes of a liberal education.” Now the role of student newspaper is served by the Cavalier Daily, which earlier this month elected its 123rd managing and junior boards. May 25, 1861. UVA alumnus Douglas Cooper is officially adopted as a member of the Chickasaw Nation. In 1861, the Confederate government sought Cooper’s help to secure the allegiance of the Indian tribes and he was commissioned a colonel of the 1st Choctaw and Chickasaw Mounted Rifles. He commanded Native American troops in several engagements, including Pea Ridge, where the Indians were falsely accused of scalping fallen Federal soldiers. 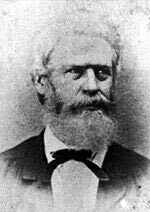 After the war, Cooper prosecuted the claims of the Choctaw and Chickasaw tribes against the federal government over the infamous Indian removals. June 29, 1868. The Ugly Club holds one of its annual celebrations. The Ugly Club’s contest was an enormously popular form of entertainment held at the University in its early years. The boisterous event held on the Lawn featured many clever speeches. Entrants vied for awards given to “the man with the homeliest countenance,” “the prettiest man,” “the smallest man,” and “the vainest man.” The prize for being the ugliest was a pair of boots. May 18, 1921. The Board of Visitors elects Adelaide Douglas Simpson as the University’s first dean of women at a salary of $2,500. Simpson, 29, held the office until April 1927. “From the very beginning, the University administration did not consider the dean of women equal to the male deans at UVA. 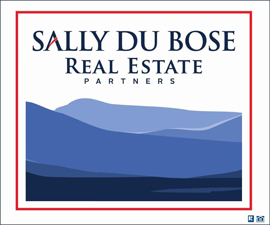 They expected her to focus on the development of leadership, social poise and integrity of female students and to be available to them for guidance and consolation,” reads a University website. 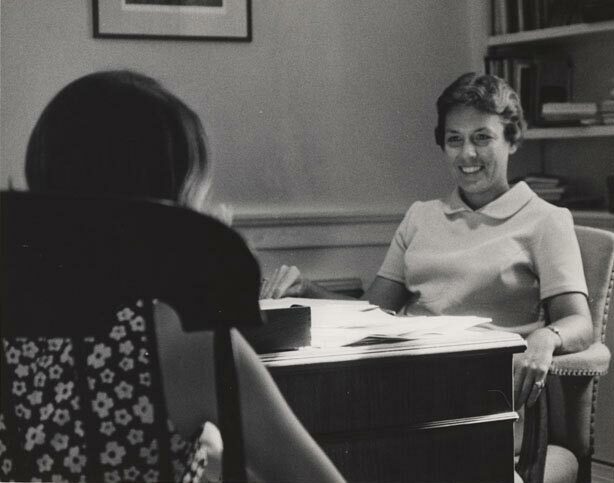 The last woman to hold the position of dean of women was Mary Whitney, appointed in 1967. She challenged the University’s admissions policies and participated in the debates surrounding coeducation in the late 1960s. Feb. 28, 1929. John J. Moran, a University alumnus, is awarded the Walter Reed Medal by Congress for his role in helping prove that yellow fever was spread by mosquito bites and not by contact with infected clothes and bedding. Moran was the only civilian to participate for experiments conducted by Dr. Reed, also a University alumnus, and others at Camp Lazear in Cuba. Moran’s was the fourth case of yellow fever to develop from mosquito inoculation. He eventually settled in Cuba, where he managed the Havana offices of the Sun Oil Company. 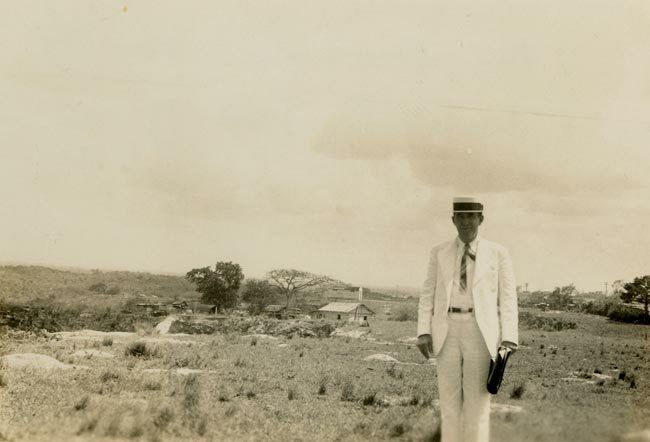 He and another American, Dr. Robert P. Cooke, lobbied the Cuban government to memorialize the work done at the camp. April 20, 1916. Former UVA student James Rogers McConnell joins the newly formed American Escadrille (later redesignated the Lafayette Escadrille) at its base of operations in France. He is one of the first four of the seven original Escadrille pilots to arrive. 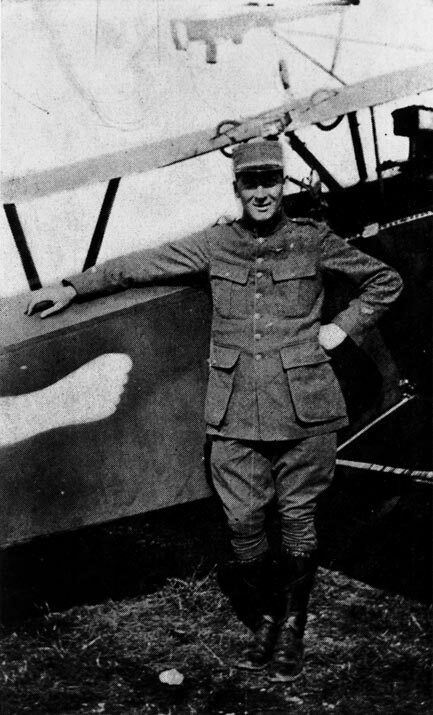 McConnell was killed in aerial combat with two German planes, above the Somme battlefields, on March 19, 1917. He became the last American pilot of the squadron to die under French colors, before American entrance into the war in April 1917. The statue The Aviator now stands between Alderman and Clemons libraries in his memory. During his years at UVA (1907-10), McConnell held memberships in Beta Theta Pi, Theta Nu Epsilon, O.W.L., T.I.L.K.A. and the German Club. He also was editor-in-chief of Corks and Curls and assistant cheerleader. April 6, 1939. Beta, the University’s beloved dog, dies a day after being hit by a car on Rugby Road. An estimated 1,000 people attend the funeral. Dean Ivey Lewis gives the eulogy at the flower-covered gravesite. 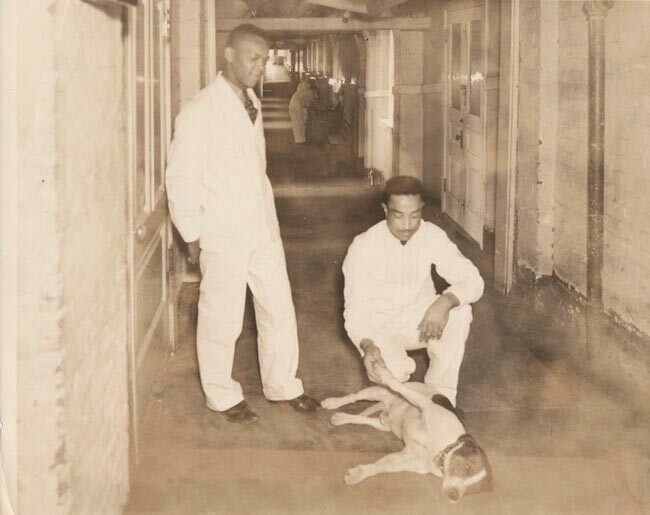 “There are many one-man dogs and many one-family dogs, but Beta was a whole university’s dog,” Lewis says. That turnout is eclipsed by the death of another University canine mascot, Seal, on Dec. 11, 1953. Approximately 1,500 people are in attendance when Seal is laid to rest next to Beta. Oct. 11, 1947. Chester Pierce, a football player at Harvard University, becomes the first black athlete to play against Virginia in any sport. Virginia wins the game 47-0 in front of a crowd where the seating is segregated, but for the first time, the game is not. “It was a big deal,” Alan Stone, Pierce’s backup as a sophomore in 1947, said of the trip to Virginia: “We all respected [Pierce]. He was a very dignified fellow, and he was much more of a gentleman than anyone else on the team.” The Virginia game was Harvard’s first played in the South. The Crimson made the trip lacking four players who began the season as starters. One was senior end Robert F. Kennedy, lost after the opener when he broke a leg in practice. Sept. 15, 1950. Gregory Swanson, the first African-American accepted for admission to the UVA Law School, registers for classes in graduate law study. 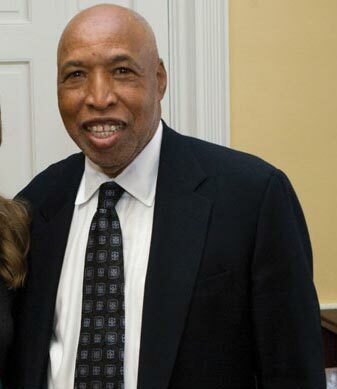 In July 1951, after completing his first year, Swanson leaves the University “due to what he described as an overwhelming climate of racial hostility and harassment.” In 1953, Dr. Walter N. Ridley becomes the first African-American to receive a UVA degree, and in 1961, Amos Leroy “Roy” Willis becomes the first African-American to enroll in the College of Arts & Sciences. In 2010, a plaque is dedicated to Willis in honor of being the first African American student to live on the Lawn (he resided in West 43). Feb. 15, 1957. 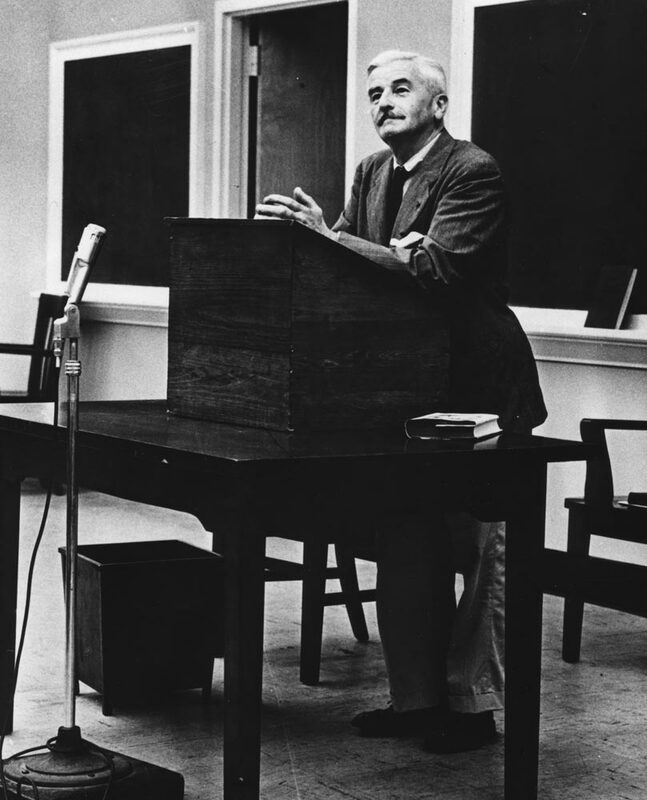 William Faulkner, 59, spends his first day as writer-in-residence at UVA. Over the previous 34 years he had published 16 novels, five volumes of short stories and about a dozen other books. Earlier that month, a drinking spree in New York had landed him in the hospital for three days. During that spring semester, he publishes The Town and begins writing The Mansion. Sept. 30, 1969. A three-judge federal court panel rules in favor of women who sued to become students at UVA. The court orders University officials to present to the judge within a month a new plan for coeducation that admitted students regardless of their gender. Virginia “Ginger” Scott (Col ’73) thus became the first woman to enroll in the College and to graduate under the new plan. Scott was 19 at the time of her application. Feb. 21, 1999. Women’s head basketball coach Debbie Ryan (Educ ’77) wins her 500th game with an 83-65 triumph over Florida State at University Hall, becoming only the sixth coach in Division 1 history to have that many wins at the same school. 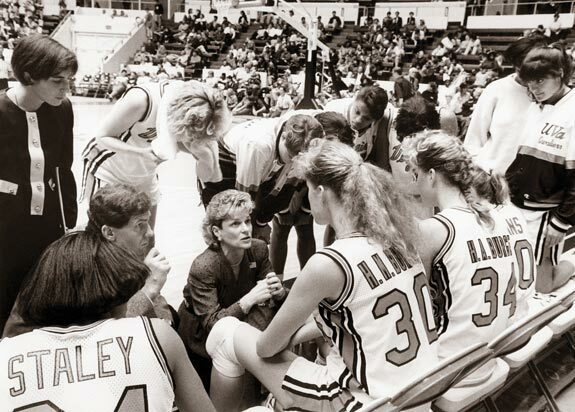 Ryan went on to win 739 games over a 34-year career before stepping down last March; she was inducted into the Women’s Basketball Hall of Fame in 2008.